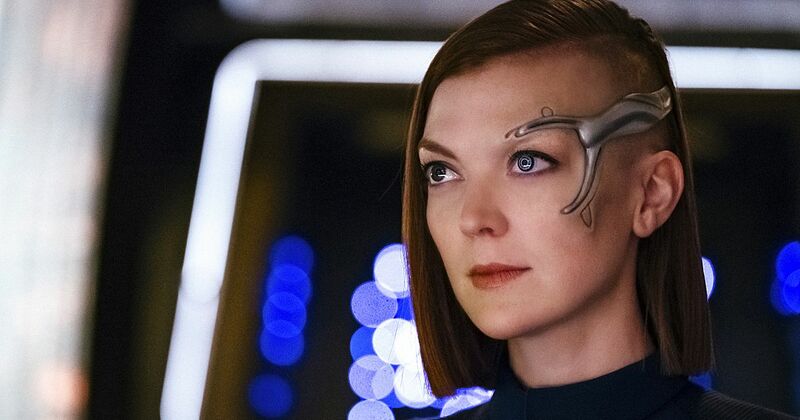 I can't comment, other than to say that Keyla Detmer could have bionic roadkill duct-taped to her head and still look great. JoeP, Burning Hearts of Qo'nOs, pst and 1 other person like this. Nah, she got them at Stanton. Geordi was unique in this regard, per his conversation with the doctor. Well he was born blind instead of getting it from an injury, illness or degenerative condition. There's probably treatments for those since they are repairing damage. Our current devices that can restore sight to the blind only works if that person had vision at some point, otherwise they can't because the brain doesn't know how to deal with the information. 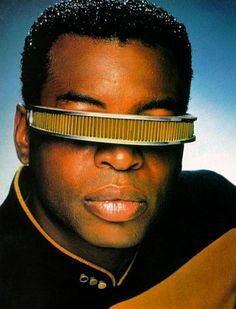 Geordi may have some sort on neutral implant allows him to have vision. The DISCO version just isn't internal, it works like those external brain interfaces. JoeP and Burning Hearts of Qo'nOs like this. I would love to know the backstory behind Airiam and Detmer. Ok, so Detmer got those implants because of the binary stars. Cool. What exactly do they do. Also, giving Airiam a name for her race would be delightful. We're apparently going to learn more about her this season. I'm looking forward to it. Maybe she will be part of the Red Signal storyline, or maybe not. the only thing we know so far is they're back to saying she's an augmented human. i hope they've made up their minds, but i also feel like an augmented alien would be more interesting.